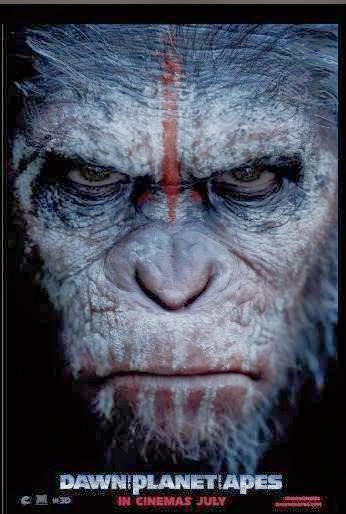 The upcoming movie, Dawn of the Planet of the Apes, is the sequel to Rise of the Planet of the Apes, the origins story on how our planet became overrun by talking apes and how the Statue of Liberty got buried at a beach front. I don't think I'm worried about how the film will perform in theaters, but when you completely swap out creative talent, as they've done for this sequel, I do worry a little bit. Rise was directed by Rupert Wyatt, and the screenplay was written by Rick Jaffa and Amanda Silver. It was produced by 20th Century Fox. Dawn is directed by Matt Reeves and screenplayed by Mark Bomback, while being produced by Chernin Entertainment, and being distributed by 20th Century Fox. Matt Reeves credits include 2010's Vampire flick, Let Me In, 2008's kaiju movie, Cloverfield and action flick Under Seige 2: Dark Territory. He also was a driving force behind the 1998-2002 TV series, Felicity. Reeves may also be tapped for the third film in this franchise origins spin. The cast is completely new too. Dawn of the Planet of the Apes stars Keri Russell (teaming back up with Reeves), Gary Oldman, Judy Greer, Jason Clarke, Angela Kerecz, with Andy Serkis reprising his motion-capture role of Caesar. The creative team combined, seems rather capable. The film is slated to come out in theaters on July 11, 2014. With that being said, I enjoyed the first film and if you were paying attention, the nuances and homages paid to the franchise were cute. And the story of exactly how Caesar was brought into this world, and the betrayal he felt from various actions that went on around him was nicely constructed. Or, we saw his motivations, if you will, for his hostilities. The tagline at present, reads, "Survivors of the simian plague trigger an all-out war between humanity and Caesar's growing forces." With that said, here's the latest trailer. Below that is the first full trailer that came out some time ago, and then the last entry is a viral "public service announcement."